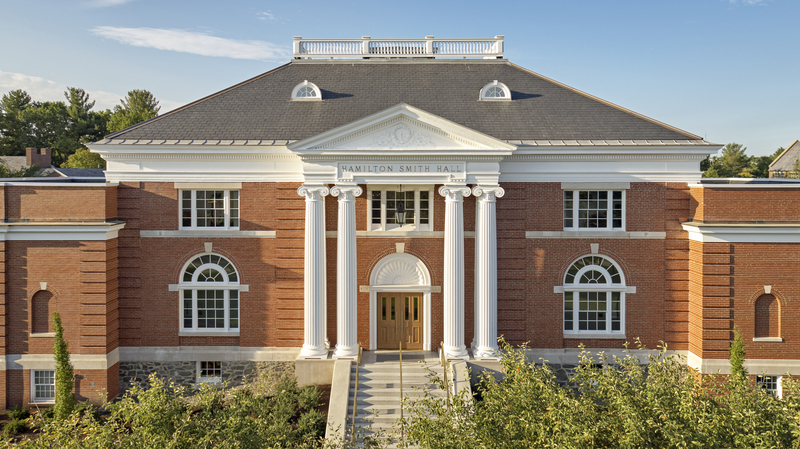 One of the oldest buildings on campus and originally the campus library, Hamilton Smith Hall was notoriously difficult to navigate. 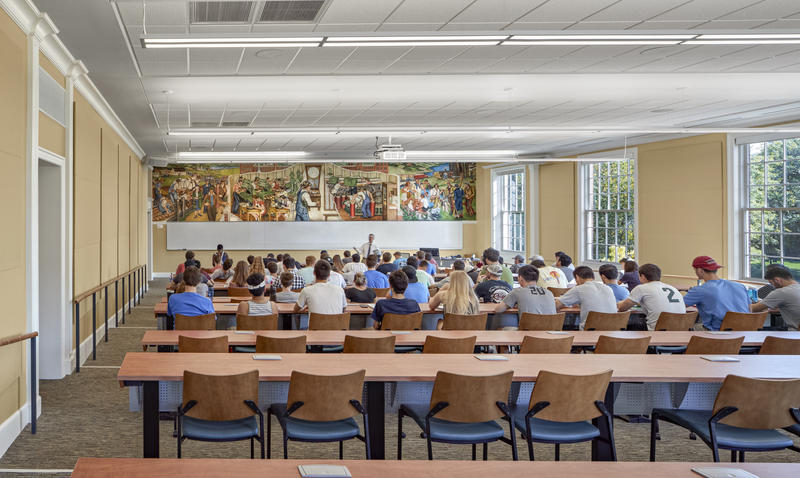 The removal of an unsympathetic 1950s addition, along with the new addition and renovation of the academic building for the English, Philosophy and the Humanities departments not only solves this problem but also creates a unique interactive environment for student engagement and learning. The addition extends off the back of the building out into a steeply sloped ravine. 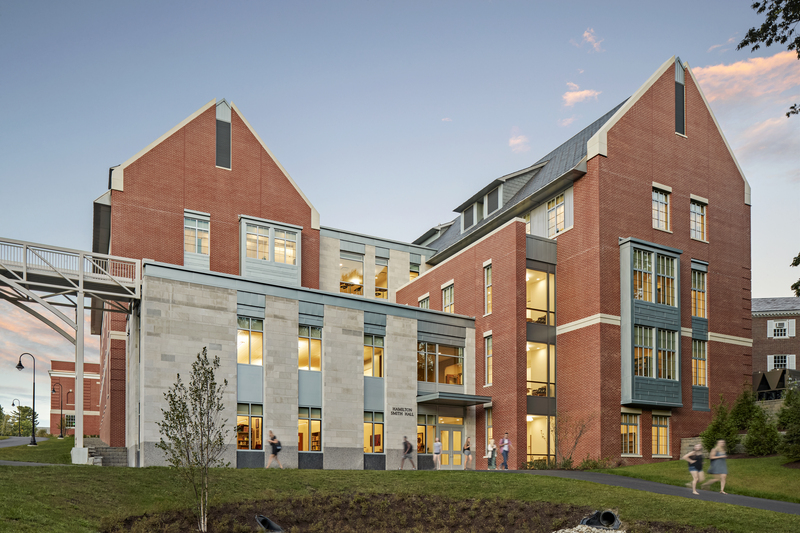 A new pedestrian bridge arches over the slope and completes the main campus path which now extends through the addition, connecting the campus academic core to the center of student life. 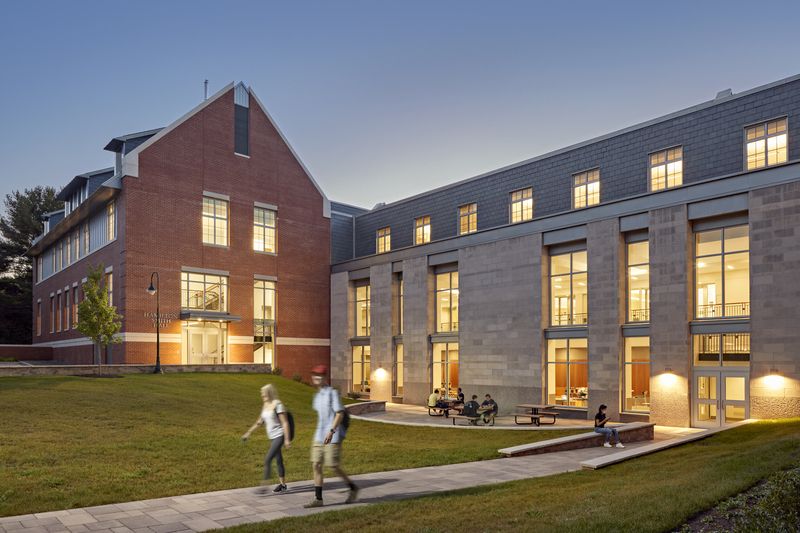 New building components, articulated as a series of smaller forms, sympathize with the mostly historic New England campus scale. 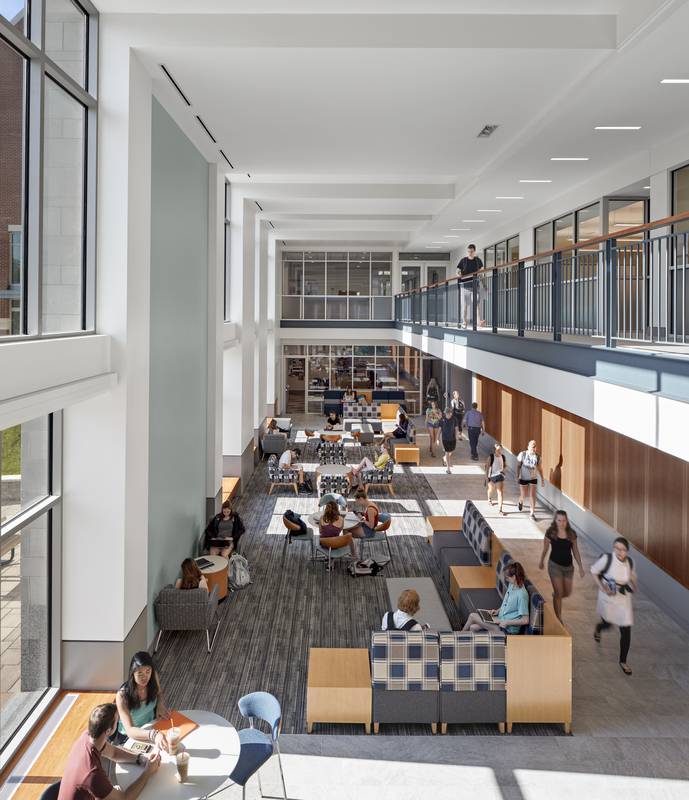 A suite of state-of-the-art classrooms is arranged around a “colloquium” space at the central axis of the complex which opens to a courtyard formed by the addition.